I’ll reflect on what went well … what didn’t go well … what I could have done to have made the experience better for the client … then I’ll make necessary adjustments for improvement. 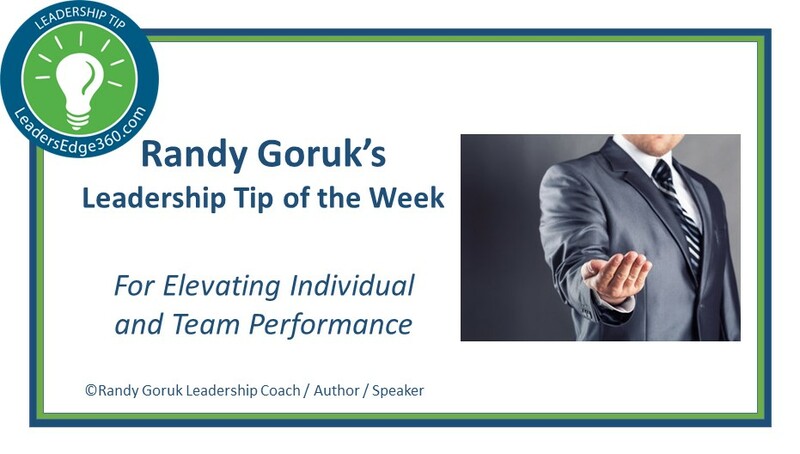 In preparation for launching an online leadership development course, I was reflecting on the ‘live’ work I’ve completed with clients around the attributes, characteristics and qualities of exceptional leaders – some of you were part of these sessions. Upon reflection, what struck me was ’empathy’ was missing! Oh we captured the usual suspects; vision, passion, communication, character, accountability and 25+ other attributes, characteristics and qualities that exceptional leaders share. However for the most part, empathy was missing ! I don’t know if that was bad facilitation on my part, or a sign of the ‘it’s all about me’ world that seems to be evolving. Heighten your awareness on the importance of empathy as an essential leadership attribute, then continue to develop it. Although there are plenty of formal definitions out there, mine is; empathy is all about one’s ability to understand, and experience another person’s emotion. * You will have the ability to avoid, minimize or resolve conflict. * You will be able to identify and address trouble in advance. * You will be capable of relating well to others. So I’m interested to know, where does your empathy rank? … And where do key members of your team rank on the empathy scale? If you’re not scoring a 10 out of 10 in empathy, I encourage continued development. 1. Put yourself in the other person’s shoes more frequently. 2. Improve your ability to listen openly and objectively. 3. Strengthen your observation skills. 4. Focus on the correct outcome for the business, not the best outcome for you. There’s plenty more you can do to develop this important leadership attribute, but these will get you started.